Reading to your child daily will increase not only the number of words your child knows but the variety of words. It is fundamental that children listen to the language from stories from a young age to widen their bank of vocabulary which will support their spoken language and later on their reading and writing. Please use the local library to borrow books or take advantage of our lending library to read to your children daily! This is Frankie. His parents have read to him since he was new-born. He just loves stories and enjoys retelling them. 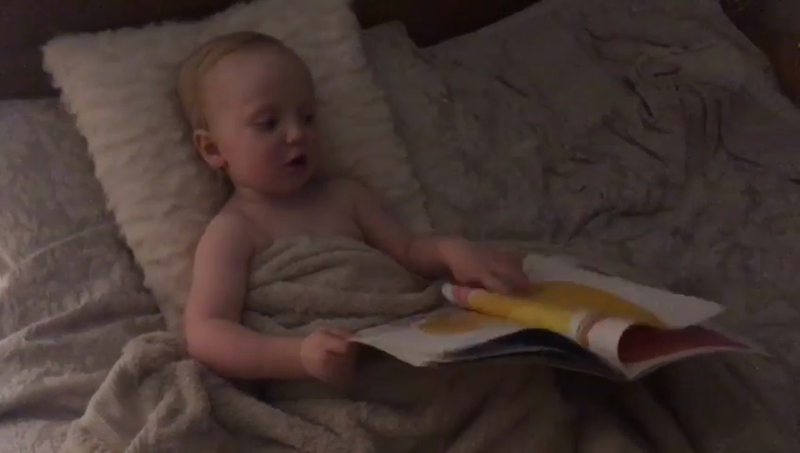 His speaking and language is above what it should be for his age (currently 2.5 years) due to the amount of stories he has listened to and the language (words and phrases) he has learnt with them. 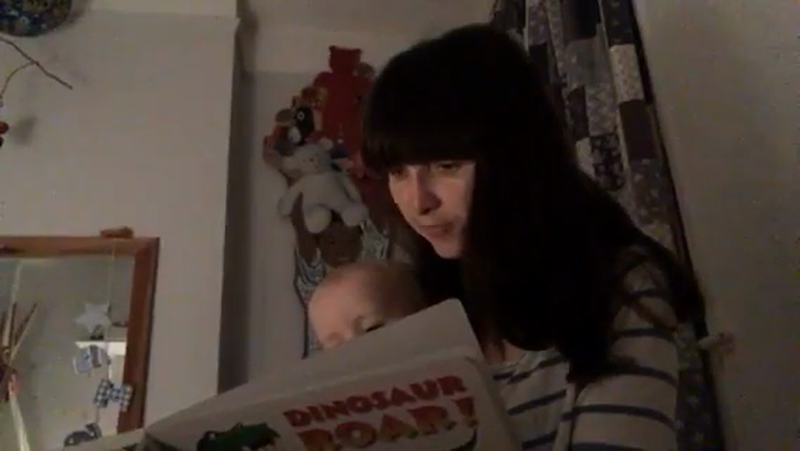 Look at how amazingly Sid joins in with parts of the story his mother is reading to him. He has been read the story lots of times before and has internalised the language patterns from the story.